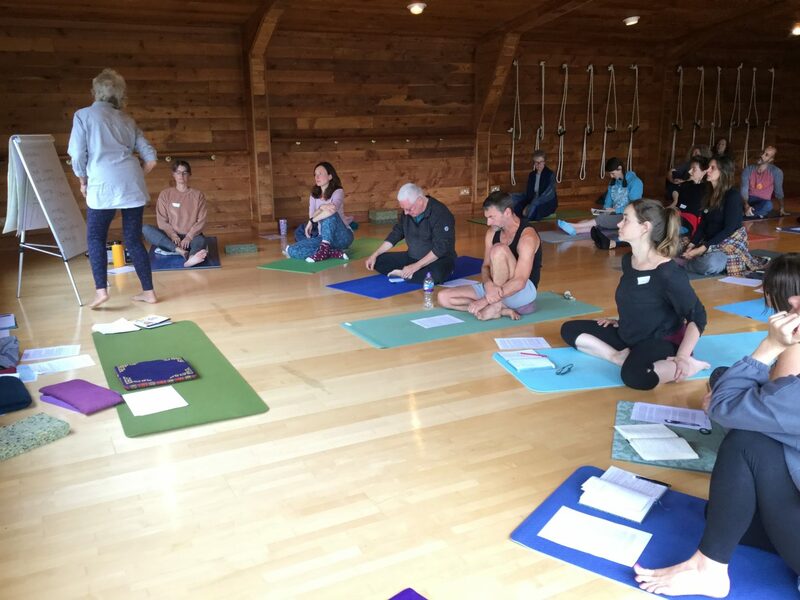 Barefoot Barn Subsidized CPD – A Great Success! 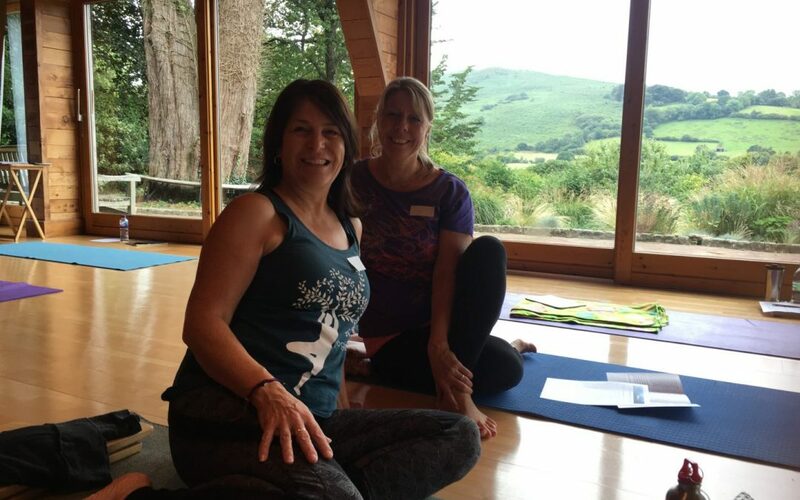 The weather on 8 September was perfect, allowing the glory of Dartmoor and Barefoot Barn to welcome twenty six members of Friends of Yoga to the first sponsored day for SW (W) and Friends of Yoga’s first ever weekend of CPDs. The weekend of CPDs was an idea put together by Sheila Coombes and myself in order to attract other members to join those in Devon and Cornwall for their annual sponsored day. Members came from as far afield as London, Birmingham and Hampshire to enjoy the weekend. The sponsored day did exactly what ‘it says on the tin’! It showcased Sheila’s talent as a Diploma Course Tutor, brought together the SW (W) members to enjoy a subsidized CPD, gave the members a regional forum and encouraged volunteers, Sarah Noordwier and Angela McOwan to keep the cogs of Friends of Yoga running and share the Area Officer role for SW (W). 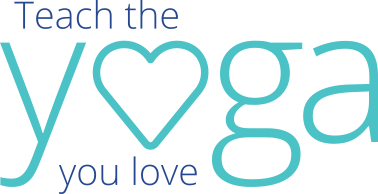 The Membership Officer had recently signed up eight new members who have joined Friends of Yoga in order to attend the sponsored day. The theme of the weekend was ‘Living Fearlessly in a Fearful World’. The morning session of the sponsored day, presented by Sheila, was ‘Freedom in Relationship’ which covered the importance and relevance of the psoas muscle in eliciting the relaxation response in the body. This was explored through breath awareness and asanas to promote the lengthening and relaxation of this muscle. After lunch was a group exercise covering the ‘fight or flight’ response in the body, followed by the members working through a series of movements in order to experience neurogenic tremor release. 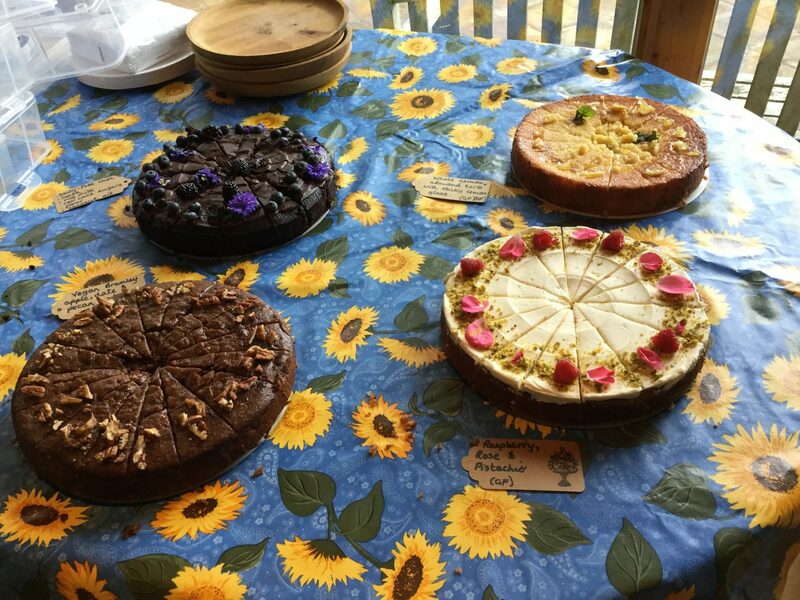 Before the regional meeting the members enjoyed some delicious locally produced cakes. The regional meeting was presented by myself to inform those present of the up-to-date work of the Executive Committee. Zoe Smart (Public Relations Officer) and Jo Standen (Website Co-ordinator) also gave a short presentation on the progress of the new website. 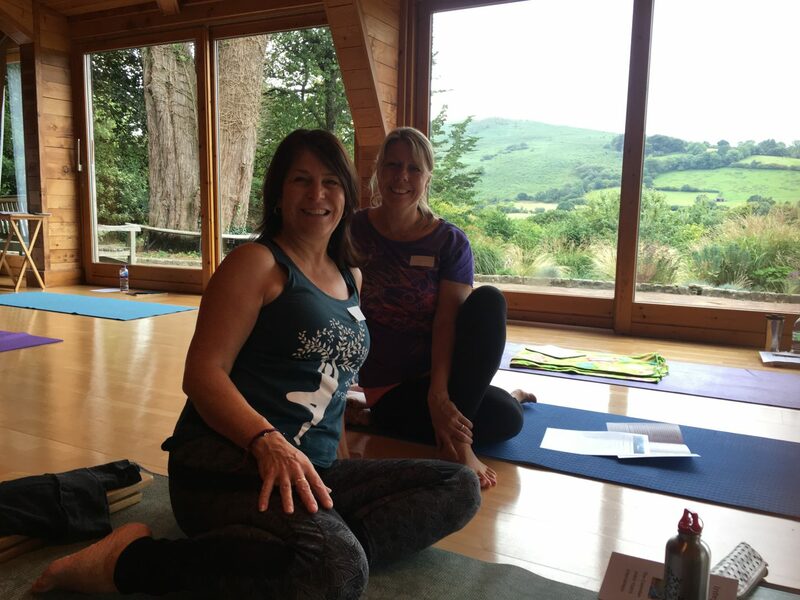 Day two’s linked day – Yoga, Relaxation and Presence – was presented by Bill Wood, who is based locally in Devon, but runs workshops and retreats all around the UK. 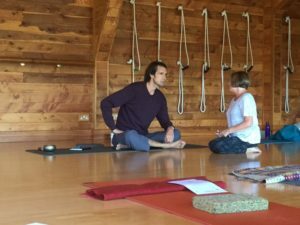 Bill’s main influence has been the teachings of the late Vanda Scaravelli and he lead us through a very different but exceptionally profound and relaxing day giving us plenty of thought to take into our own class teachings. The success of the weekend of CPDs was evident in the responses on the comments forms which were given out with the attendance certificates. Hopefully, we will be running more of these in the future and I have recommended Sheila’s day to our other Area Officers. Keep your eyes out for forthcoming CPDs – you might find Sheila’s amongst them.